What? Mac & Cheese and bacon on a pizza? Try it… just a few easy steps and 15 minutes to pure deliciousness! 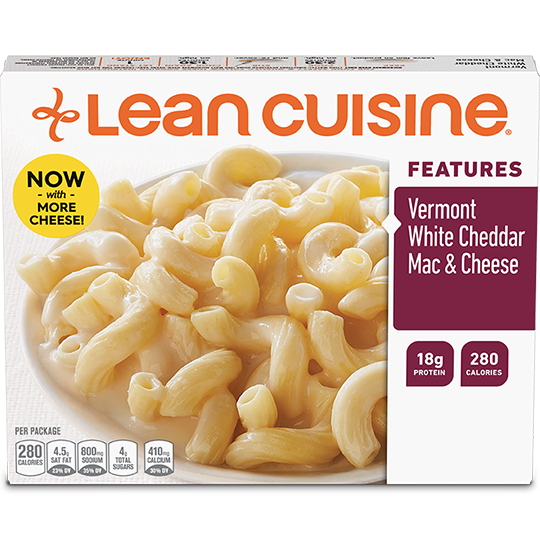 HEAT LEAN CUISINE® Vermont White Cheddar Mac & Cheese according to package instructions. TOP pizza crust with the LEAN CUISINE® Vermont White Cheddar Mac & Cheese, leaving a 1” rim around the crust. TOP the pizza with crumbled turkey bacon.